The hotel group Mandarin Oriental has announced that is will unveil a 158-key luxury hotel and residences within three standalone towers that is slated to open in 2022. 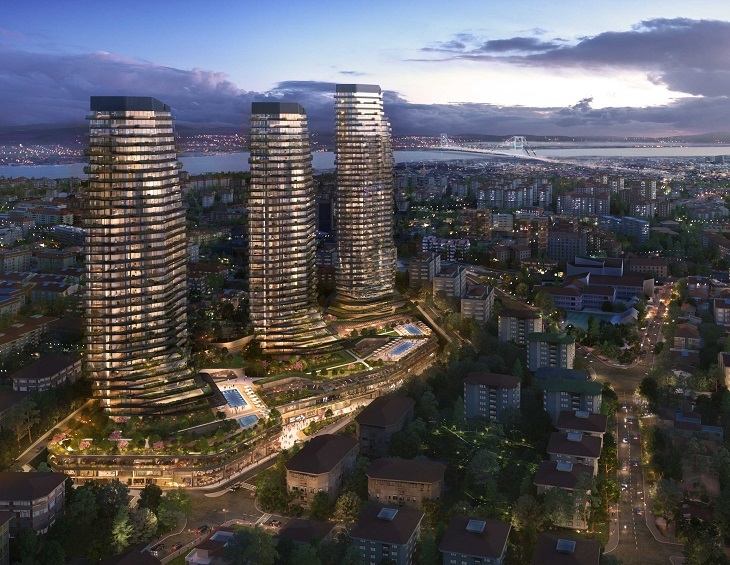 One of the towers will house Mandarin Oriental Etiler, Istanbul with 158 guestrooms and suites and 16 serviced apartments. The remaining two towers will house 251 luxurious Residences at Mandarin Oriental. UNStudio from Amsterdam has been appointed as the master planner and architect.The hotel will have three restaurants and bars, and a selection of adaptable meeting spaces with outdoor areas and terraces, ideal for hosting both business and leisure events. There will also be a spa and fitness centre, offering the Group’s award-winning signature wellness programmes as well as locally inspired treatments. The hotel will have both an indoor and outdoor swimming pool.The Residences at Mandarin Oriental will feature some of the most exclusive homes in the city, providing owners with extensive private gardens and impressive views of the Bosphorus. Owners will also enjoy Mandarin Oriental’s legendary service and direct access to the hotel’s facilities. In addition, there will be a full suite of bespoke resident facilities, including two outdoor swimming pools with city skyline views, a fitness centre and six beauty treatment rooms.The owners and developers of the project are Astaș Holding A.Ş and Yapi & Yapi. 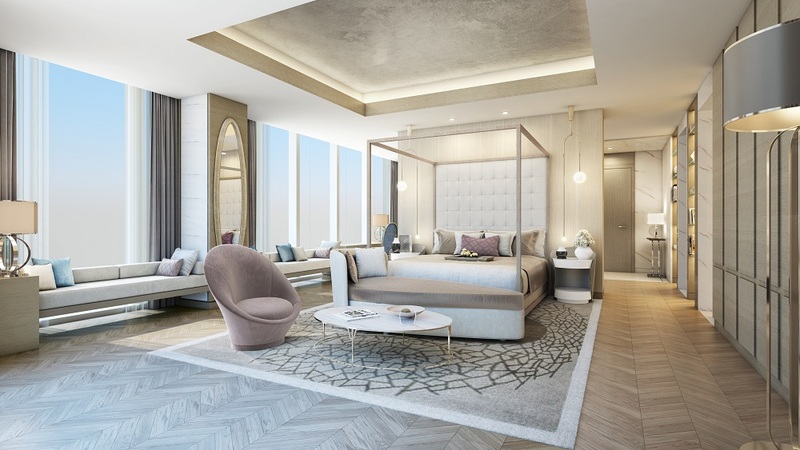 This is the Group’s third venture in Turkey with Astaș Holding A.Ş who is the owner of the Group’s two other Turkish properties – the award-winning Mandarin Oriental, Bodrum and Mandarin Oriental Bosphorus, Istanbul which is scheduled to open in 2020. “We are delighted to be announcing a second Mandarin Oriental property in Istanbul, together with an exciting luxury residential project. We look forward to extending further the Group’s presence in one of the world’s most historic and vibrant cities,” said James Riley, Group Chief Executive of Mandarin Oriental. “Operating two complementary hotels in a single city is something that the Group has already done successfully in Hong Kong and will soon do in London. We believe there is room for more than just one Mandarin Oriental hotel in certain select destinations around the world.” he added. “Having strengthened our successful collaboration with Mandarin Oriental Hotel Group in Bodrum, and through the upcoming opening of Mandarin Oriental Bosphorus, Istanbul it is our intention to establish this second Istanbul property, uniquely located in the prestigious district of Etiler, as one of the world’s most impressive addresses. The project is slated to cater to a discerning clientele who enjoy this legendary city so rich in history and culture, at the crossroads of Europe and Asia,” said Astaș Holding A.Ş, and Yapi & Yapi’s Board of Directors. Mandarin Oriental Hotel Group has grown from its Asian roots into a global brand, now operating 32 hotels and six residences in 23 countries and territories, with each property reflecting the Group’s oriental heritage and unique sense of place. Mandarin Oriental has a strong pipeline of hotels and residences under development, and is a member of the Jardine Matheson Group. Corinthia Hotels has announced that it will open the brand’s first hotel in the Middle East. Due to launch in 2020, the contemporary beachfront hotel marks the beginning of ambitious expansion plans by the hotel group. 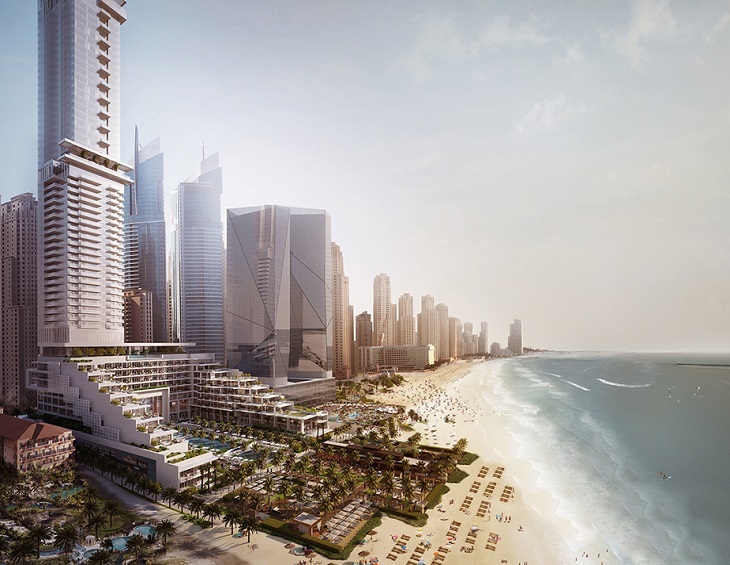 Corinthia Meydan Beach Dubai will be located on the prestigious JBR beachfront, reflecting the enriching brand values for which Corinthia is known. Working in partnership with Meydan Group, Corinthia Meydan Beach has been designed as a new beachfront resort and destination that will aim to reflect both the bliss of the beach and the excitement of the city. Situated within Dubai Marina, overlooking a pristine stretch of white sand, the 55-storey hotel will be home to 360 guestrooms and suites. This beachfront landmark will be complete with cascading infinity pools, the region’s first ESPALife Spa and unforgettable culinary experiences. It’s also intelligently designed for spectacular views across to the Dubai Eye and Palm Jumeirah. Internationally renowned American design professionals AE7 have ensured each detail of the hotel has been meticulously considered to create a tribute to the region’s tradition of architectural grandeur and cultural traditions. 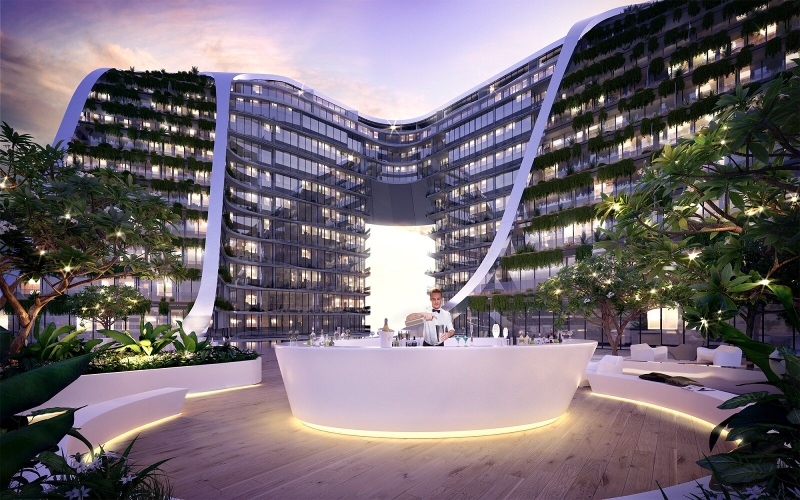 Designed by globally renowned Koichi Takada Architects, Infinity by Crown Group will shelter 326 premium apartments, a convention centre, a new retail and dining precinct with 20 outlets and a 90-key hotel called SKYE Suites Green Square. The 20-storey building has captured the public’s attention with its iconic looped design, situated on the corner of Botany Road and Bourke Street. 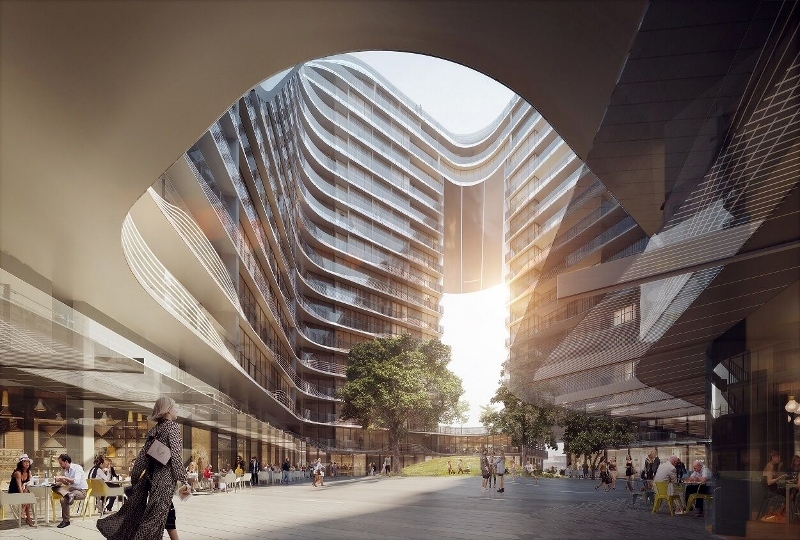 The development forms part of the $13 billion Green Square redevelopment that has transformed the town centre into an exciting new destination and will add a new train station and aquatic centre. SKYE Suites Green Square will feature 90 luxurious studio, one- and two-bedroom apartments with Kevin Murphy toiletries, complimentary mini-bar and the ability to choose individual mattress firmness on each side of the bed. There will also be keyless entry and ‘virtual concierge’ tablets in every suite for guests to access all hotel services. A STARCast system will enable guests to stream in-room entertainment from personal devices. Design firm Dexter Moren Associates (DMA) has won planning permission to extend the Mercure London Bloomsbury Hotel, increasing the number of guest rooms from 114 to 132 and improving the visitor experience with an updated food and beverage offer. Working closely with client Fairview Hotels Ltd, DMA’s plan enhances the guest experience at the four-star boutique hotel, adding 586sqm of extra floorspace through new side, rear and roof extensions plus a bar extension. DMA’s successful design uses high quality materials and architectural elements complimentary to the existing red and cream brick with Portland stone ornaments of the late Victorian / Edwardian hotel. 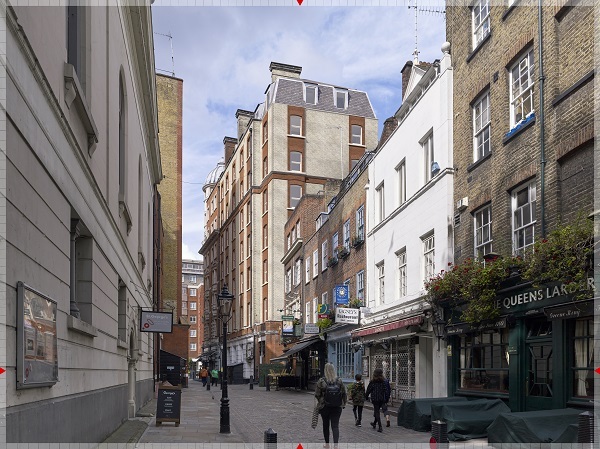 Combined with a deliberate decluttering of miscellaneous distracting external elements, the new extension allows the hotel as a whole to engage more positively with the surrounding townscape and enhance the character and appearance of the Bloomsbury Conservation Area. “As well as playing to our space planning expertise and creating spaces that will satisfy the expectations of the modern, savvy traveller, this project is another example of our contextual approach to design, rooting the hotel in its surrounding neighbourhood,” Continues Ortega. The Mercure London Bloomsbury Hotel is the first of a series of Fairview Accor hotel projects on which DMA has been engaged to investigate expansion opportunities.